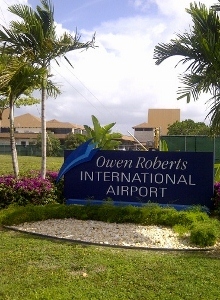 (CNS): Following the dismissal of the chief financial officer of the Cayman Islands Airports Authority before Christmas and more recently its CEO, the police have confirmed that, despite various serious allegations, no complaints have been made to the anti-corruption or financial crime units. Without a complaint being submitted, the RCIPS said it is not able to initiate an investigation into the airport situation or any other public authority where corruption is being alleged. A report undertaken by the board revealed a catalogue of questionable activities at the airport over the last few years, from the misuse of a government credit card to theft, none of which has been reported to the police. “We have not received any complaints in relation to that matter,” a police spokesperson said. ”Wehave seen several media reports and heard public commentary alleging corrupt conduct and financial irregularities within a number of public bodies and government agencies. However, until a formal complaint is made to the RCIPS we are unable to comment on the allegations or action an investigation. We would urge anyone who has information to come forward and contact the police or the Anti-Corruption Commission,” the police added. Jeremy Jackson was suspended from his position in December when the board began an investigation. The issue remained under wraps for several weeks until the report was leaked to MLA Ezzard Miller, who passed the report to CNS as he had grave concerns that the authorities were attempting to either keep the entire situation secret or were planning to sweep the issue under the carpet. In the wake of the leak, the board chair criticized Miller for giving the leaked confidential document to the press but, bowing to public pressure, the board then terminated Jackson, who had been on full pay. Since then nothing more has been said about the serious allegations that were made against Jackson and other members of staff. The question of the thefts that had taken place at the airport also remain unresolved. One staff member was dismissed, having been a suspect in connection with some $90,000 that had gone missing but the thefts continued after the woman was dismissed. Although the thefts were documented in the airport authority's annual reports, no reports were ever made and have still not been made to the police. Under the anti-corruption law public servants, including board members, who are aware of corrupt behaviour by others in the public sector are obligated to raise the alarm with the appropriate authorities. (CNS): Drivers will facefurther delays this coming week and into the following one as work on the tie-ins and access roads between West Bay Road and the Esterley Tibbetts Highway Extension continues. Again information about the work and traffic diversions came from Dart and not the National Roads Authority, the lawful agency which manages roads and traffic flow in Cayman. Dart said Friday, work would be continuing over the next two weeks on either side of the closed stretch of the West Bay Road but it expected to have completed work at Yacht Drive, Raleigh Quay and Governors Way by 2 April ending the temporary Lime Tree Bay diversions. “Road works to complete the connection of Phase One of the highway extension to West Bay Road are scheduled to conclude over the next two weeks,” the developer stated in a notice. 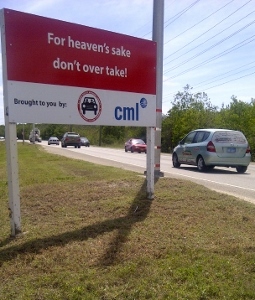 Two southbound lanes are scheduled to open on Thursday March 28 ahead of the Easter weekend at Raleigh key but the two northbound lanes will not open until Easter Monday (1 April). The paving of the Yacht Drive Connection is scheduled for completion by Tuesday 2 April DRCL stated, along with the Governors Way Connection which is also scheduled to open Tuesday allowing trafficto flow on to the West Bay Road as far as Governor’s Way which marks the start of the stretch of land that government has given to Dart in a swap forming part of a deal which has still not been made public. 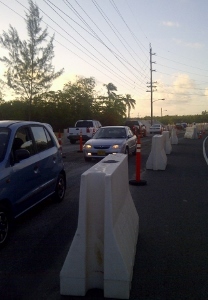 Although the road works have also interrupted the flow of traffic from West Bay Road and the junction of Yacht drive along the stretch of Seven Mile Beach popular with campers, government officials have confirmed that the public can continue to drive along that road and will be able to gain access to the beach this Easter. So far there have been no new updates in connection with the two legal actions filed with the Grand Court seeking legal intervention over the closure as many local activists believe the closure of the West Bay Road is unlawful. (CNS): On the eve of the YCLA gala news has broken that members of the alumni have objected to the selected key note speaker and plan to boycott the event after the board refused to listen to their concerns. 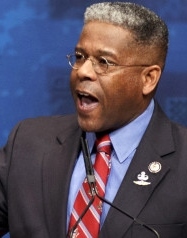 Allen West, who has a controversial military history as well as a reputation for insulting a whole catalogue of minority groups, was described by the alumni as “notorious and divisive” and said that choosing him sent the wrong message about the leadership values promoted by the YCLA and what the board considers to be good leadership. The alumni are concerned that the board simply has not listened to their objections. The annual awards ceremony, which is televised live at a glittering gala, has developed a reputation for inviting speakers on the far right of the US Republican party that are, as in this case, exceptionally controversial. In correspondence with the board, the YCLA alumni has pointed out that former Congressman West lost his seat recently, not least because of the offensive remarks made by him during his time in Congress about gays, Muslims, women, black people and other minority groups. The alumni wrote to the board to say they are concerned about the reputational damage to the finalists to have such a notorious speaker on a night that should be about them and their accomplishments. “Some alumni are boycotting the event in protest at the lack of transparency with choosing keynote speakers and the continued Republican slant of past speakers that is not representative of the diversity of the alumni and finalists,” a spokesperson told CNS. The alumni said they have expressed their concerns over the years to YCLA staff and board members as to the criteria of selecting keynote speakers, but nothing has been acknowledged and the selection of West suggests that the board has ignored the position of the alumni. 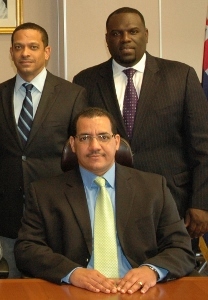 “Given that the goals of the Foundation are to recognise outstanding young Caymanians who are making a significant contribution to society and who, through their achievements and actions, serve as positive role models for the youth of Cayman, one would expect that the main criteria for selecting a key note speaker would be that they exhibit true characteristics of leadership or they have an inspirational message or personal story to share that will inspire others to make a positive difference,” the alumni said in its letter to the board. “We are concerned that the selection of speakers like Mr West, who is known for divisiveness, sends the wrong message about the leadership values which are being promoted,” the group stated. They asked the board to give consideration to the concerns when selecting next year’s key note speaker, the criteria and process that it uses to select them and the effect that this has on the reputation of the YCLA organisation as a whole. “We also hope that you will re-consider this year's choice of Mr West,” the group adds. The event takes place on Saturday night at the Ritz Carlton when Michael Blackburn, Marzeta Bodden, Victor Crumbley, Melanie Scott and Shomari Scott will be chasing the title of Young Caymanian Leader this year. CNS contacted YCLA to ask for comment regarding the question about the speaker and a spokesperson confirmed that the organisation hoped that in future the alumni would become much more involved with the organisation as a whole, as well as choosing speakers, but made no defence regarding the choice of West, who was accused of torture during his military service in Iraq. (CNS): The Independent member for North Side has raised a number of questions about the Human Tissue Transplant Bill, which is currently awaiting final passage on the table of the Legislative Assembly. Ezzard Miller said the drafting of the legislation has left open the possibility that human organs and tissue could be sold for cash. He has also questioned who exactly, other than a medical practitioner, would be allowed to remove or authorise the removal of tissue as is currently indicated in the legislation before the House. The minister who brought the legislation, however, has denied that it provides for the sale of organs and said he would be clarifying exactly who is being referred to in clause 18 of the law. Speaking at a press conference on Thursday, Miller said he was denied an opportunity to express his concerns in the House because of changes to the order paper. Miller stated that, despite knowing that he had concerns, after he left because of a prior engagement in his constituency the government altered the order paper. Miller pointed to a transcript of the LA proceedings, where the former premier appears to have instructed the health minister to move both the health practitioners and human organ bills up the order paper. “I thought there was an agreement that we would do two health bills,” Mckeeva Bush, asked the speaker during the late session. “If we don’t read that then you are going to have your backside bust … Ezzard come back and he’ll pass them bill … you better read what I am trying to tell you,” he added. As a result, Health Minister Mark Scotland presented the two bills, which form part of government’s agreement with Dr Devi Shetty, and took them through to the second reading. Miller said that he would be pressing for both of the bills to be considered by a select committee of the LA, but in particular the human tissue bill, which would give the legislators time to carefully review the language of the legislation and address the problems he believes the law presents. The North Side member said that he is genuinely concerned that the law as written will allow for the sale of human tissue, which is an extremely dangerous situation and against numerous international treaties that Cayman is party to. 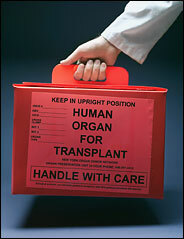 “My concern is that the bill, if passed into law, would allow the buying and selling of human tissue and organs. I am also concerned with the composition of the human tissue transplant council which will be appointed by politicians in Cabinet. Who is going to prescribe persons or classes of persons other than registered medical practitioners that could remove tissue and authorised tissue removal?” he asked. Citing a list of amendments that he feels should be made, Miller said he hopes that if the government will not allow these issues to be discussed during a select committee hearing, that government will allow the amendments to be made during the committee stage process of the bill’s passage. “I am so concerned about the bill becoming law in its present form that I suggested to the minister that the bill be withdrawn until the questions can be addressed,” Miller added. However, the minster has denied that the law allows for the sale of human tissue and regulates the financing or payment in relation to the removal and transfer of organs not for the organs themselves. Speaking at a press briefing on Thursday, Scotland said the legislation does not allow the sale of organs or tissue, which he said is prohibited. He said it would pave the way for future transplants in Cayman in the long term but in the short term it would allow patients in this jurisdiction to get on to international lists for transplant once the law is in place and has already assisted some people in need of transplant. Scotland said that he would be clarifying clause 18 that suggests people other than doctors may be able to remove or authorize removal of tissue before the committee stage of the bill. Cayman Men’s turns up the heat for Ontario team. (CRFU): The Cayman Men’s U19 squad continued in their winning ways recently with a 2-1 series victory over their visitors from the cold north, Ashbury College, based in Ottawa Ontario. Ashbury College RFC are no strangers to Cayman, last visiting in 2005 and no doubt welcoming the warmer weather. The first test match was played on 13th March between the 2 sides, and was a nail biter of a game in which Cayman edged 22-21 with the final play. Cayman were in control of the game in the early stages and by half-time were 17-0 up with scores from Iain Currie (1 try), Angelito Hawkins (1 try) and Michael Peck (1 Penalty, 2 Conversions). A change in personnel from Ashbury in the second half saw some bullish runs from the bigger Ashbury forwards to rack up 21 unanswered points. With the final play of the game, Cayman were awarded a penalty 10 yards from the Ashbury line, which they knew would not be enough. Iain Currie made a last ditch solo effort from a tap penalty, broke through 3 tackles and scored in the corner to earn the Cayman boys a1 point win. The 2nd Test between the sides (16th March) was expected to be an even tougher affair for the Caymanians as the strong 2nd half performance by the Ashbury Colts in the first test should have given the Colts all the confidence needed to march out an early lead against Cayman and hold onto it for 40 minutes. The game didn’t go exactly to plan however as after 40 minutes neither team found their way on the score board. Cayman did have chances to cross the try line but some poor decision making played into the hands of the Ashbury defense, leaving the half-time score at 0-0. Ashbury’s persistence paid off yet again in the second half as 19 unanswered points meant that Cayman would have to play much smarter rugby in order to climb a very steep hill to take the series 2-0, but only a lone Miles Campbell try would be a consolation score for the local boys. Final score Cayman 5-19 Ashbury. With all to play for in the final Test on 19th March, it was no surprise that the game was yet again a close one, in which Cayman edged out winners 14-12, the deciding factor between the 2 teams being the missed conversion from Ashbury’s first try. The Series win was a real test for the Cayman Boys who, having won the last Caribbean Championship have lost many players who are now too old to play at this age level. With many top players based in schools overseas, coaches Noel Phillips and Gary Southway are well placed to retain the trophy with knowledge that the talent base living and playing in Cayman at this age level is very strong. (CNS): The Cayman Islands Crisis Centre is providing its clients with new mobile phones and numbers in an innovative new fundraising programme called “Find Your Voice.” In a public awareness campaign, the Crisis Centre is asking individuals and companies to donate their old mobile phones and accessories, which are then shipped to a recycler in the United States, who pays the Crisis Centre cash for the equipment. These funds then go towards the purchase of new phones and pre-paid minutes for the Crisis Centre clients. Find Your Voice, which was inspired by KPMG’s global employee philanthropic programme called BRIGHT, launches on Saturday 6th April when, between 10:00 am – 3:00 pm, volunteers will be at Foster’s Airport and Strand locations collecting old mobile phones and accessories. Collection boxes will remain at these locations and will also be at Kirk’s Supermarket. Cayman Islands Crisis Centre’s fundraising chairperson Allison Clark said about the concept behind the programme, “A phone is a basic requirement for someone who is reconstructing her life. Clients will now have the means to find a place to live, set up job interviews and safely connect with family members. It might also be a lifeline in an emergency situation”. LIME, who has been a longstanding contributor to the Crisis Centre, will be a major sponsor of the programme in its first year, providing phones and pre-paid minutes free of charge to the centre’s clients. KPMG’s BRIGHT programme encourages employees to come together to support theUN Millennium Development Goals in developing local and international communities in need. In October 2012, KPMG invited staff to form teams of two to develop a BRIGHT idea that would make a difference in the Cayman Islands. Megan Holt and Julia Allman, both senior auditors at KPMG, won the competition with their presentation and business plan for Find Your Voice. The KPMG judges found their idea to be unique, well researched and had potential to make a positive difference in the community. In recognition of their efforts, the pair will complete a two-week BRIGHT placement in Costa Rica. (CNS): RCIPS detectives from the West Bay police station are appealing for witnesses or people who may have information regarding a shooting at a house in the district on Thursday night. A police spokesperson said the home in Miss Daisy Lane was damaged by gunfire at about 9.45 pm on 21 March. Police who attended the scene after receiving the report that gunshots had been fired found a front window was damaged by bullets. A woman who was in the house at the time of the shooting was uninjured and no indication of why the property may have been targeted was given by police. Anyone who was in the area of Miss Daisy Lane at the relevant time Thursday night and saw or heard anything suspicious is asked to contact West Bay CID on 949-3999 or Crime Stoppers on 800-8477 (TIPS). (BBC): French ex-President Nicolas Sarkozy has been placed under formal investigation over claims his 2007 election campaign received illegal donations from France's richest woman. Sarkozy is accused of accepting thousands of euros from L'Oreal heiress Liliane Bettencourt, now aged 90. The former leader denies taking financial advantage of Bettencourt. His lawyer said he would file an appeal against the "incoherent and unfair decision", AFP news agency reports. Magistrate Jean-Michel Gentil, who leads the inquiry, unexpectedly summoned Sarkozy for a face-to-face encounter with Bettencourt's butler, Pascal Bonnefoy, in the city of Bordeaux. The judge wanted to determine how often the politician had met Mrs Bettencourt in 2007. While Mr Sarkozy has maintained he only saw her once during that year, the butler gave a different account on Thursday, the BBC's Christian Fraser, in Paris, reports. Following the hearing, prosecutors said the ex-president had been placed under formal investigation "for taking advantage of a vulnerable person during 2007 to the detriment of Liliane Bettencourt". Under French law the court's decision falls short of a formal charge, our correspondent says. (CNS): With less than one week to go before Nomination Day, the current Cabinet members are still giving very little away about their plans for the election. They confirmed yesterday that Richard Christian was joining their group to fight another one of the four seats in Bodden Town with Mark Scotland and Dwayne Seymour but they still did not reveal the name of their team or who else would be running on their ticket. Rolston Anglin and Cline Glidden were vague about whether they would be joined by anyone else in their efforts to retain seats in West Bay but said they would not be running with others just for the sake of numbers. Speaking at the press briefing on Thursday, which took place in the afternoon in the absence of the premier, who was in Cayman Brac with the CPA delegates, the four ministers failed to specify how they would be fighting to retain their seats or how they would hope to form a government with only six members. They implied that they could join forces with others who have already declared or are likely to by Nomination Day if they can find common ground, or even work with other candidates after the election to form the next government. Anglin, who is currently education minister and deputy premier and will be fighting to retain the seat he has held in West Bay since 2000, stated that the government team was still going to campaign together. Anglin emphasized the point that the government ministers had made a decision that they would not run with people for the sake of running with them. However, if they could find people to work with from a policy position and have what he described as a “sustainable relationship and mature discussions”, where they may disagree some of the time on some things but be able to create a foundation to build on, they would join up with other candidates. “We are in store for a very interesting election campaign,” Anglin added. With five C4C candidates running in the capital and five independents, including three former UDP members, the ministers may be seek to persuade a number of those to join in their team or party in order to have some representation in George Town. With six seats, the district is going to prove a critical factor in the election and likely to reflect the make-up of the final government. Any party or group that is able to secure the majority of those seats is likely to end up controlling government, a point unlikely to have been lost on the incumbent ministers. The PPM slate is already fixed with six candidates for George Town; the UDP has said it will be revealing its full team for the capital on Saturday at its general assembly; and although it is not clear if C4C has one more hopeful up its sleeve for George Town, it already has five names on its platform for the capital. Together with five other independents who have declared so far, this means there will be at the very least 22 people vying for one of the six seats in the country’s largest constituency, where some 7,500 people are eligible to vote. Speculation over who will be running will be over by 3pm on Wednesday 27 March, when nominations close. But with the exception of the two formal political parties (the PPM and UDP), questions regarding which candidates will join forces, who will be distancing themselves from whom and who will work together will be likely to dominate the campaign trail until polling day. And as noted by Glidden, even after Election Day, which newly elected MLAs will join up together to form a government may still be very much in question. (CNS): Cabinet members confirmed Thursday that Dart Realty has agreed to widen the Esterley Tibbetts Highway through to the Butterfield roundabout in George Town as part of the existing NRA agreement. However, the government members were still tight lipped about when Cayman will see the full details of the deal it has struck with the islands’ largest developer and the independent value for money assessment conducted by local consultants PricewaterhouseCoopers. Following the road closure and the work that has started on the West Bay road itself, the ministers said the short term delays to traffic would soon be outweighed by the long term gain. Heath Minister Mark Scotland revealed that negotiations have continued with Dart and the final details of the third amendment to the NRA deal were being fine tuned this week after Dart agreed to make the entire ETH a dual carriageway. It has been confirmed that Dart will widen the stretch between the Camana Bay roundabout and the Butterfield roundabout in George Town first and will then also widen the road through Camana Bay to a dual carriageway to prevent any bottlenecks. Tourism Minister Cline Glidden apologised for both the inconvenience of the road-works and the late notice about exactly where and how traffic was diverted but he said that there was still full access on the parts of the West Bay Road that have not yet been formally closed and people would still be able to camp in the area over Easter. Glidden said there was nothing strange about the information and notices regarding the road works and diversions coming from Dart rather than the NRA because Dart was doing the work. He said government had contacted the developer this week to see that the tie-ins and access points to the ETH would all be completed quickly to cut down on traffic delays. Despite the legal challenges and the continued opposition in the wider community, the government ministers made it clear that they are all still fully committed to the project. They said all of the delays and diversions relating to the road works were merely a short term issue and once the work was completed the closure of the West Bay Road and opening of the new bypass would be a positive benefit for everyone and the local economy. There are currently two legal actions that have been filed with the Grand Court by residents of West Bay against the deal and the closure of the road, which has already been gazetted. The first was by four women from West Bay who have filed a lawsuit to which government is expected to defend shortly, and the second was an application for judicial review. Both claims make similar arguments that the closure is unlawful, not least because theroad has been a byway for more than 100 years and because the government has approached the closure incorrectly.